AWARE Center will be taking people on a tour of the 'Old Souk' also known as Mubarakiya and to the Grand Mosque on March 13th. Mubarakiya or the "Old Souk" is a place where traditional and non-traditional items are sold. 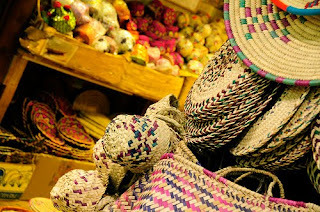 It's a famous place to visit when coming to Kuwait where you can pick up all sorts of gift items for reasonable prices. 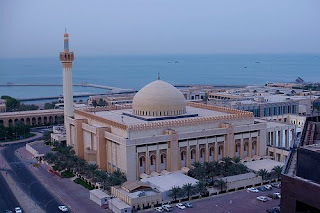 The Grand Mosque is the largest mosque in the country of Kuwait. Its area spans 45,000 square meters, out of which the building itself covers 20,000 square meters. The main prayer hall is 72 meters wide on all sides, has 21 teakwood doors, and has lighting provided by 144 windows. The dome of the mosque is 26 meters in diameter, and 43 meters high, and is decorated with the "Asma al-hosna", the 99 names of God. The mosque can accommodate up to 10,000 men in the main prayer hall, and up to 950 women in the separate hall for women. The mosque also contains a 350 square meter library of Islamic reference books and documents. To accommodate the large number of vehicles belonging to worshippers, the mosque also contains a 5-level parking structure underneath the eastern courtyard which can hold up to 550 cars. Construction on the mosque started in 1979, and the mosque was completed in 1986.